At AWC-SB’s event on November 5, Author, Sandra Tsing Loh, shed light on what it means to go through menopause. After discussing her book, The Madwoman in the Volvo, Loh depicted a positive side to menopause, emphasizing the importance of discourse on a taboo subject. When Loh experienced her own menopausal meltdown she turned to research to get some answers. She discovered women experiencing “the change”, showed hormone levels similar to that of a preteen girl. Since the women of today live much longer than women of the past, fertility only applies to a third of a woman’s life. Loh’s breakthrough of a redefined ‘change’ allowed her to gain new insight on the pressures women experience while fertile and the liberation menopause brings. Women, more so than men, are constantly subjected to ideals and expectations of perfection – from how to dress, to how much to weigh, to how to carry oneself. No wonder women in the United States choose not to openly talk about menopause. Women try to live up to society’s forced expectations of them, thus do not want to admit to going through menopause. In an attempt at ‘perfection’ and equality in the workplace, women suppress their emotions. 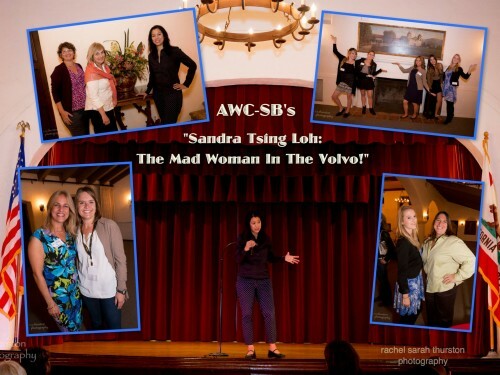 According to Sandra Tsing Loh, when you “go mad” you gain perspective on how “mad” the world is. 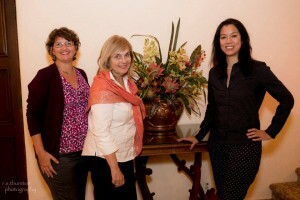 Loh has found discussion of menopause a release. She believes that instead of stigmatizing menopause, people should talk about the condition, connect to each other, and bridge gaps across genders and generations. This entry was posted in Featured, Past Events on November 26, 2014 by awc sb.